One of the questions I often get from educators as I travel around the country is, “How can I motivate my students?”. If you had some sort of tool you could give your students to help them identify and focus on their goals wouldn’t that be helpful? Well, wait no more! Milady has released a brand-new book called Not Licensed to Fail: A Growth Journal for Beauty Professionals. It is a goal setting journal for graduating students and newly licensed professionals. We can create a fun and motivating environment. We can come to class every day prepared, ready to teach with an engaging lesson plan. But at the end of the day, it is up to the students to decide to get motivated, because success and motivation are personal. One thing we must do as educators is help students see what is possible in their future and help them get excited about it. We do that by helping them set goals and get clear about what they want in their lives. The book helps students and new professionals break down the overwhelming task of setting and achieving goals into easily managed, daily steps over a 4-week journey. The goal setting pages will first have the reader set a weekly goal, and then follow it up with daily goals, identifying what they can do to reach that weekly goal. Mentoring prompts and encourages the reader to ask questions and seek advice. Readers will reflect the progress they are making each day by identifying their daily accomplishments. Daily self-care activities allow readers to spend 10 to 15 minutes on various activities to help them relax and take care of themselves. 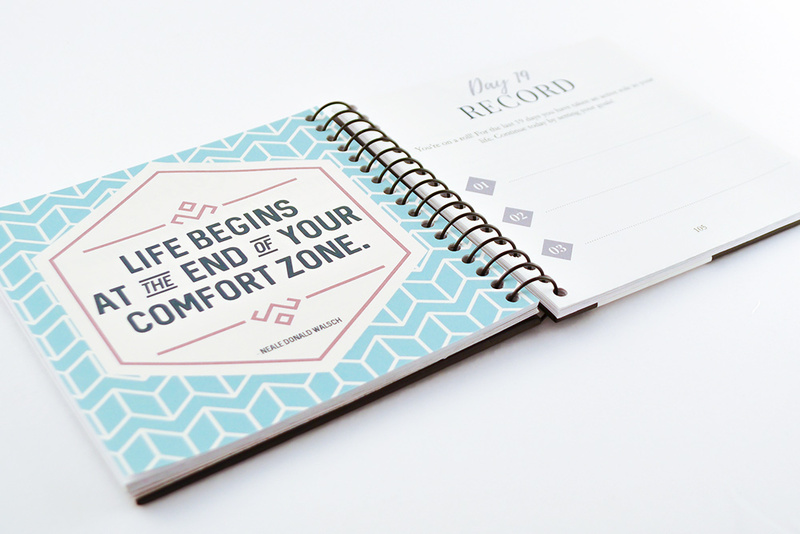 Finally, there are daily inspirational quotes through the book to help readers stay focused on their journey. This is a great resource to provide your students who are close to graduation, preparing them for what is next. This would be a fun tool to incorporate into the last month of training for your students. It would give them a chance to finish the course strong. It is easy to use and inexpensive! P.S. It would also make a great Christmas Gift! And of course, with January just around the corner, we are all looking for ways to identify and set those New Year goals!